Moana is the story of a girl (voiced by Auli’i Cravalho) who is a princess—or more accurately a daughter of the chief of the tribe—who is destined to govern inhabitants of an island in Polynesia. However, despite her responsibility to rule, she longs to journey out into the ocean. Essentially, it’s your standard Disney princess movie but for a standard Disney princess movie, it’s pretty good. Moana is directed by John Musker and Ron Clements, the helmers of Disney classics such as Aladdin and The Little Mermaid. The story is set in a beautiful island in the Pacific whose inhabitants live off fish and coconuts. Moana dreams of sailing the ocean and finding new worlds but her father prohibits it. The movie begins with Moana’s grandmother telling an old folk tale which sets up the narrative and introduces the demigod Maui, who stole The Heart of Te Fiti, causing a darkness to fall over the Pacific Islands. The Heart, of course, needs to be restored to Te Fiti before it’s too late. Moana is chosen by the ocean to bring The Heart back to Te Fiti with the help of Maui who has been stranded on an island for a thousand years. 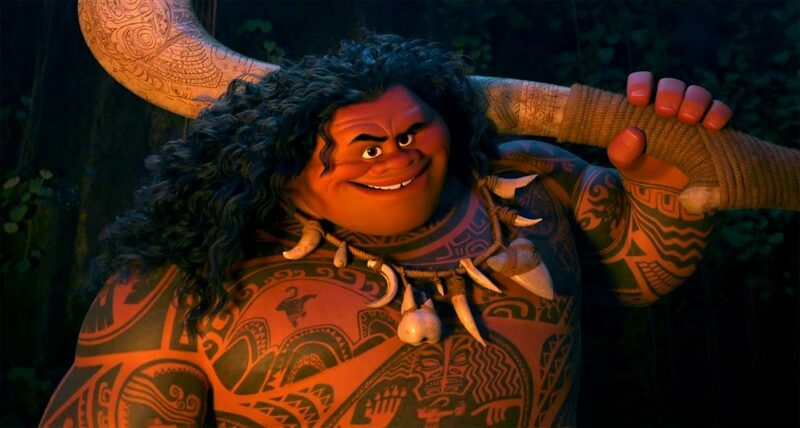 Maui, voiced by Dwayne Johnson, is a wise cracking crowd-pleaser who is almost reminiscent of Genie in Aladdin but, of course, no one can match the comedic genius of Robin Williams, so Johnson doesn’t exactly do the homage justice. In any case, Johnson is box office gold for every demographic and Maui will likely be a hit with the kids. The comedy, however, is not exactly sophisticated and it relies mostly on repetitive catchphrases and self-aware jokes. For some reason, self-awareness is generally considered the height of comedy but any amateur can write a joke that breaks the fourth wall. These jokes are low hanging fruit and while kids may not have the most sophisticated sense of humor, they are smarter than most children movies often gives them credit for. That being said, parents should also be warned that they may be hearing their children saying “Shark head!” and imitating a very annoying chicken for at least a week after seeing this movie. What really sets this film apart is the setting because, instead of European-based fairytales, this movie centers on folklore from an often neglected part of the world. There is intricate detail in every frame and the animation truly does justice to the beauty of the Pacific. There are no castles or gold crowns in Moana. Instead Moana’s castle is a boat on the ocean and instead of a gold crown, she wears a crown made of flowers. 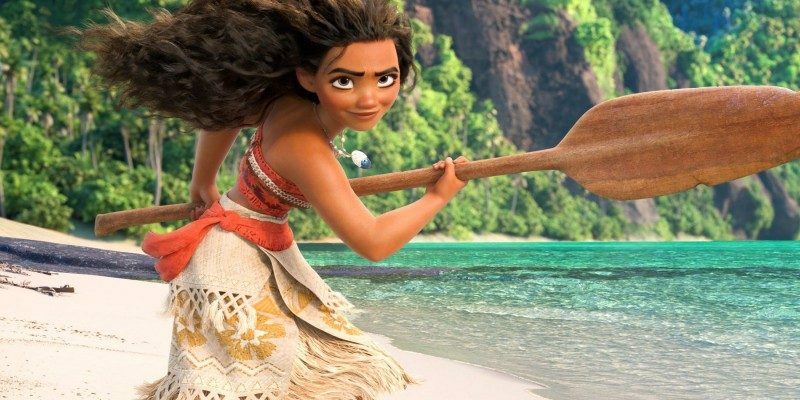 Moana is a new kind of Disney princess and a new role model for young girls. However, it is the music that truly brings this movie to life. The music was composed by Lin-Manuel Miranda, Mark Mancina, and Opetaia Foa’i and while some of the songs may get stuck in your head, you’ll be happy to sing them all day long. Of course, some of the major themes are pretty standard such as believing in yourself and following your heart but Moana also teaches girls that if they make a mistake, they should try again. It also teaches them that they don’t need a prince to be a princess which is probably the most important lesson. All in all, Disney doesn’t have many tricks up its sleeve.A ny Disney princess movie will always be exactly what you’d expect from a Disney princess movie. The basic formula has been established and used successfully for decades so why try to fix what isn’t broken? However, this may leave some adults in the audience wishing for something a little more daring instead of the same formulaic Disney treatment. 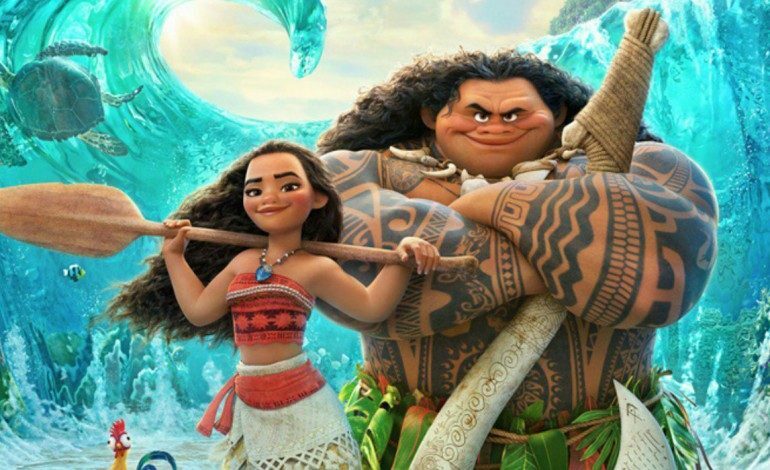 Despite the fact that Moana is essentially just another Disney princess film, this movie is the best Disney could come up with that also fits within the confines of their own formula and that is probably the highest praise one could give.